Four Years Ago This Very Day | Don't Worry. 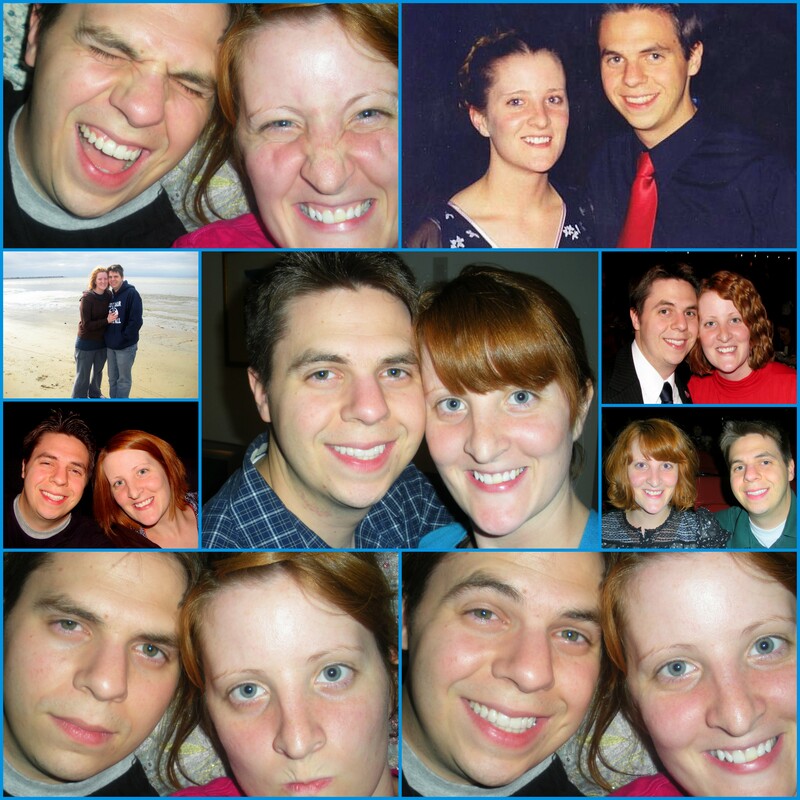 Today I have been married to Adam Kenneth for FOUR years. My wedding day was not perfect. I started the day by clipping my grandma’s toenails (no joke). I then arrived at the temple to find that my husband-to-be had been up more then half the night as sick as could be. He was only marginally better throughout our entire wedding day. You can’t miss the yellow tinge to his face in ALL our wedding pictures. Speaking of wedding pictures…a grand majority of them were accidentally deleted. What we ended up with wasn’t much. Like I said, it wasn’t perfect. But my marriage has been. Adam and I are SO happy. We have a great relationship and I boldly declare that we are incredibly well matched. We compliment each other so well. My weaknesses are his strengths and vice versa. I love him so much, and KNOW that he loves me almost equally :). I honestly can not imagine how marriage could get any better. Below is part of the video that my brother-in-law Tyler made for our wedding day. We have watched it a million times and never get tired of it. Megan also LOVES watching it. Here’s to many many many more happy years. Love you “babe”! Congratulations!!!! Marriage only gets better 🙂 Have a great day. Loved the video too. that video made me cry–thanks a lot. 🙂 🙂 🙂 please give me a kleenex warning next time. happy anniversary, you guys are the best!!! How rad was that video. I want to watch it over and over again and I’m not even you! You and Megan could be twins Elizabeth – how precious. Congrats you two! Oh my. I’d forgotten about that video. Some of those videos have some funny stories behind them. How about that stupid Princess Magic Touch. Oh, sorry, it’s not stupid. Happy Anni. Happy Anniversary Adam and Elizabeth! Elizabeth, thanks so much for loving my son and making him so happy. You do indeed compliment each other. Adam, we know that you have always been smart and one of your greatest accomplishments was the very wise choice you made for a wife and the mother of your children. I am in awe of your love and support for each other. I love you all very much and know you will have many more happy years to come. Love, Mom. Happy Anniversary!! I remember it was four years ago because I was nice and pregnant at your reception. I wish you many happy years of marriage. Happy Anni!! Look how far you’ve come. I hope your day is awesome!!! Wish we could all go to the rodizio grill together and be sick together!! Love the video, happy anniversary to you two! The time sure goes by fast doesn’t it? I love both your ‘dos through the years too! It’s too funny, I was listening to my ipod while watching your video and the perfect song was on, Keith Urban’s “You’re my better half”. You should listen to it while you watch it, it works good! Elizabeth, that video is so cute. Very Very sweet. I’m glad that you guys have been so wonderful for each other. HAPPY ANNIVERSARY I have a reminder on my phone, but since I am in MX this is the best I can do for the happy wishes. Yeah! I hope you had a great day! I sure am glad you two got married!! !